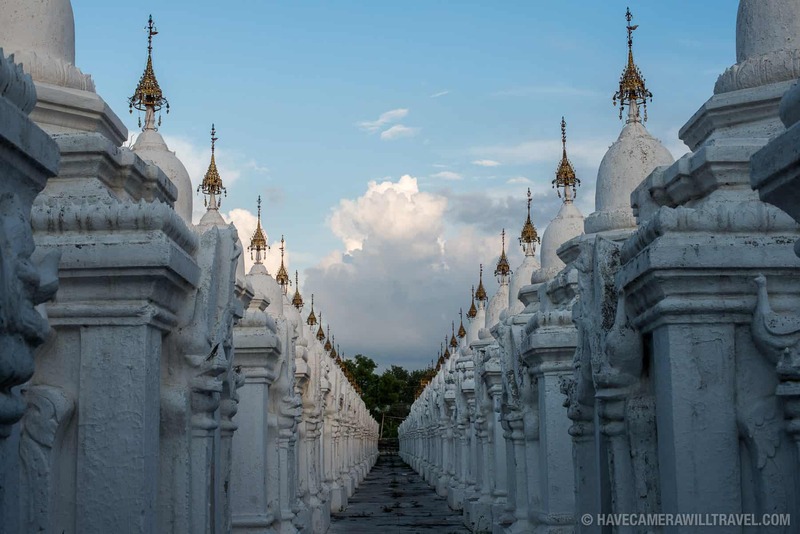 It's one of the oldest--and from all appearances, richest--of the many pagodas in Sagaing. 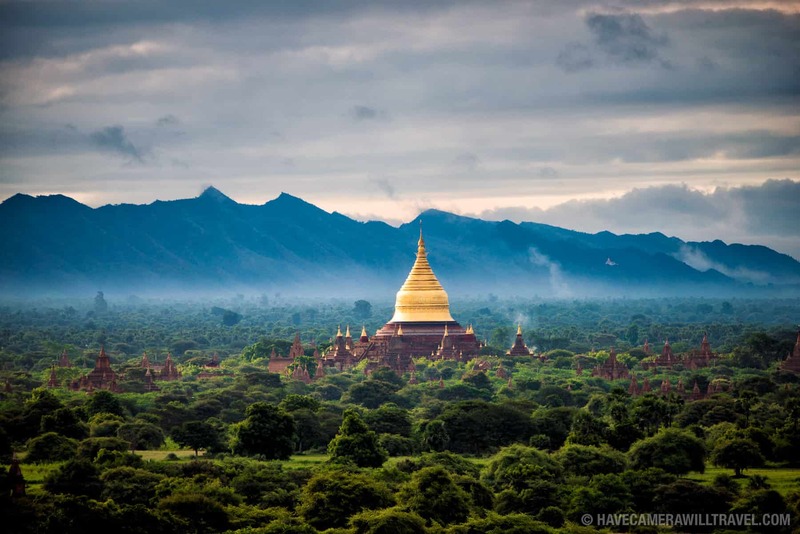 Sitting high on top of Nga-pha Hill, one of dozens of hilltops in the Sagaing Hills, it was built in 1312 by Minister Pon Nya, after whom it's named. 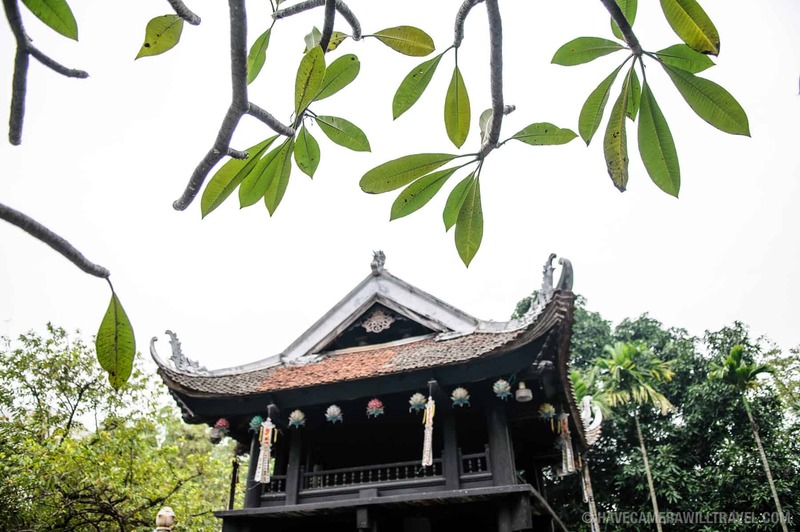 It's not the most subtly decorated pagoda you'll come across, thanks to a flood of cash coming in. A few things stand out in the main prayer hall. 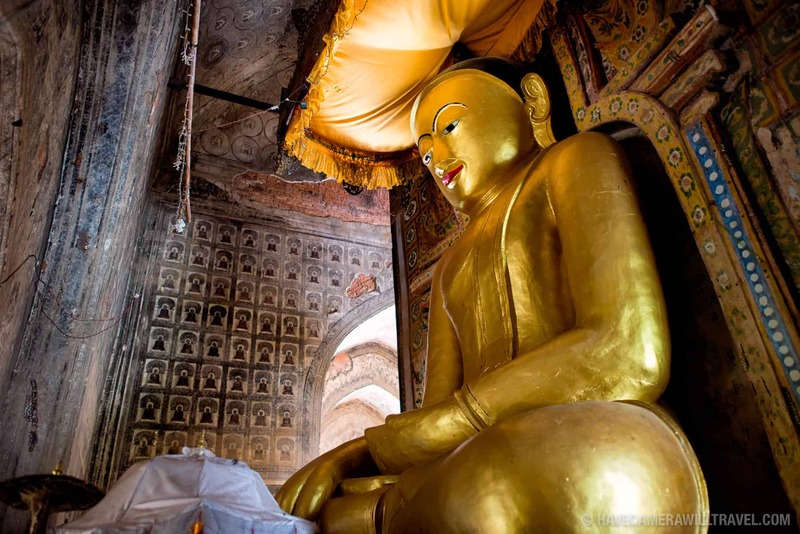 You can't miss the giant statue of Gautama Buddha that dominates one end, tower higher than the walls around him. He looks unusually cheery. 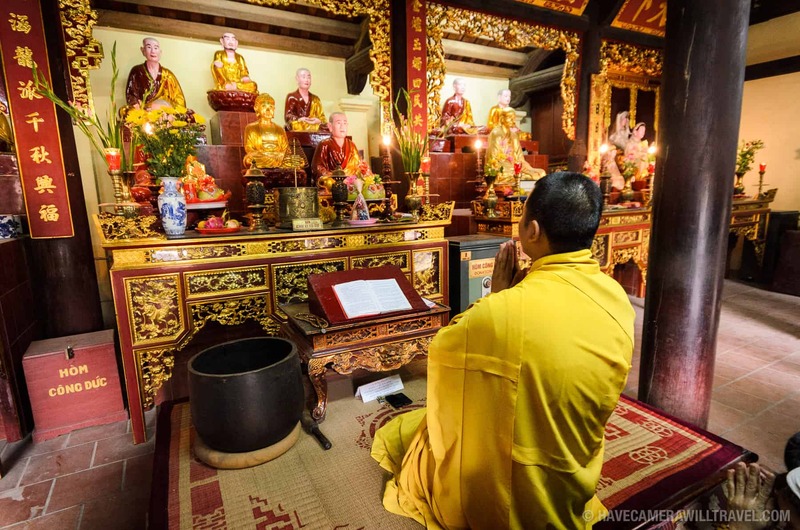 His gold robes and throne are surrounded by jade-colored tiles that line the walls and ceiling. And there are more donation boxes in this pagoda than I've seen in any other, each box designated to a particular purpose. Outside, the sprawling patios aren't any less opulent. 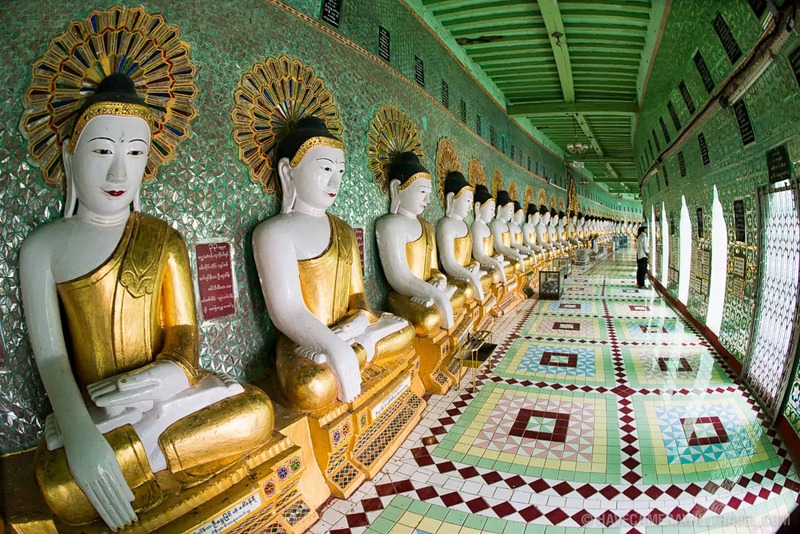 Colorful tiles cover the floors from which gold-covered stupas rise up. And there are great views over the Ayeyarwaddy River and surrounding hilltops. The hill on which the pagoda sits is shaped a little like a frog. Which is how it got its name. And it also explains the large frog-shaped donation box you'll see inside. 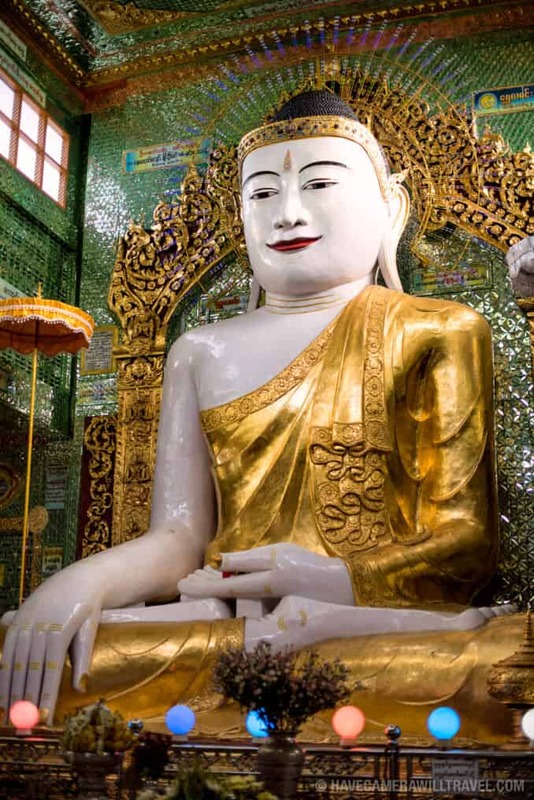 The massive statue of The Buddha at the heart of the main shrine, which has been ornately decorated in recent years. Photo by David Coleman. How to license & download this image. View from the patio of Soon Oo Pon Nya Shin Pagoda over the Ayeyarwaddy River, Sagaing, Myanmar. Photo by David Coleman. How to license & download this image. 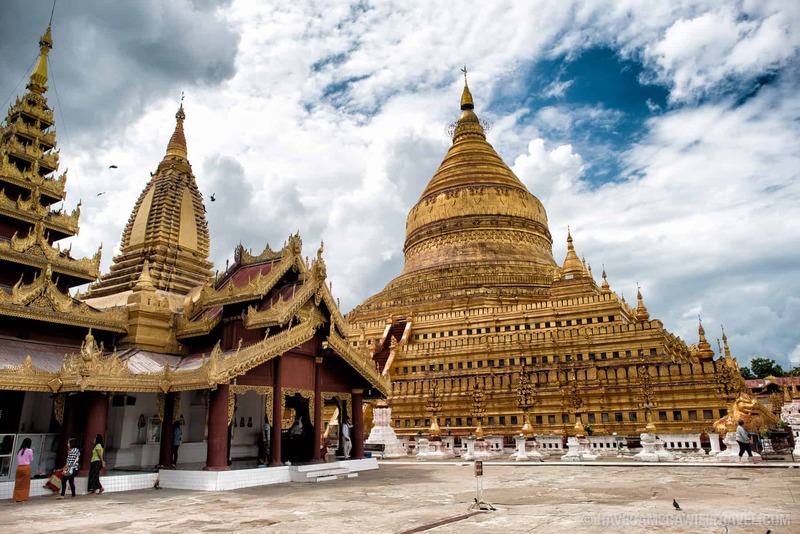 The golden stupa at the center of the pagoda complex. Photo by David Coleman. How to license & download this image. One of the leoglyphs (lion statues) next to the main gold stupa. Photo by David Coleman. How to license & download this image. Several of the buildings have these intricate decorations on the roof. Photo by David Coleman. How to license & download this image. Detail of the main gold stupa. Photo by David Coleman. How to license & download this image. Some jade-colored floor tiles forming intricate patterns. Photo by David Coleman. How to license & download this image. Donation boxes filled with cash. Each is designated for a particular purpose, so donors can choose the category for how they want their donation to be spent. [Photo by David Coleman. How to license & download this image. Story murals that line the top of the walls all the way around the main chamber. Photo by David Coleman. How to license & download this image. A view from the patio over the Ayeyarwaddy River and some of the many other pagodas that share the same hill. Photo by David Coleman. How to license & download this image. Brightly colored tiles on the patio area. Photo by David Coleman. How to license & download this image. A different angle of the patio, with more bright tiles and the Ayeyarwaddy in the background. Photo by David Coleman. How to license & download this image. Looking out from the main patio over the Ayeyarwaddy River in the general direction of Mandalay. Photo by David Coleman. How to license & download this image. The main shrine, with the massive statue of The Buddha. Photo by David Coleman. How to license & download this image. 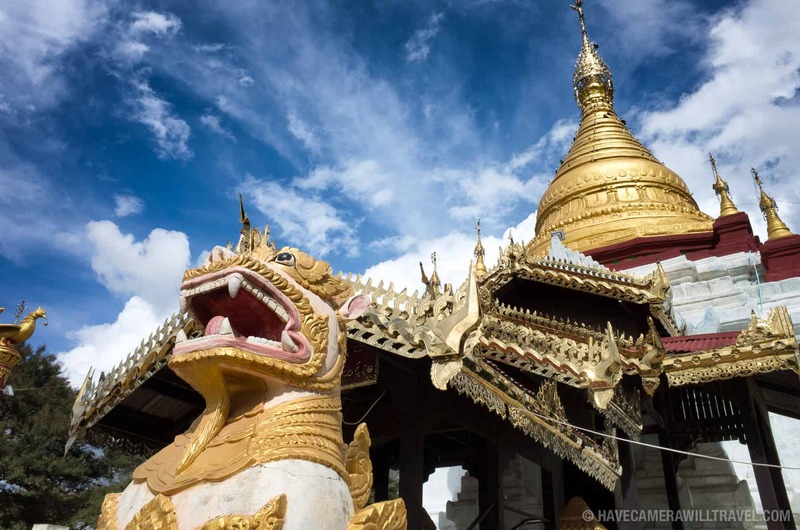 As with nearly all Burmese names that have been transliterated into English, you'll come across multiple variations in spelling and rendering, including SoneOoPoneNyaShin and Sone Oo Pone Nya Shin. 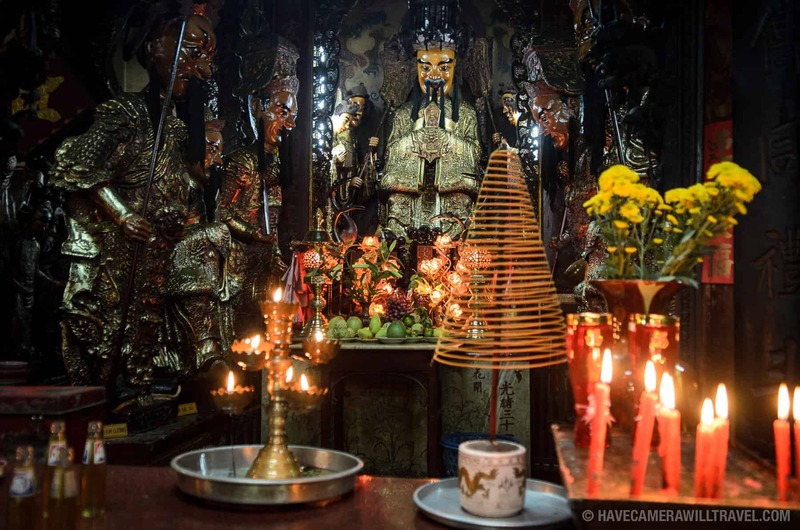 If you'd like to download any of my photos from Soon Oo Pon Nya Shin Pagoda, you can license them directly from Alamy here. It includes most of the photos displayed on this page, as well as others. Pricing depends on the type of use, and there are licenses for various types of uses, including personal use and editorial publication.